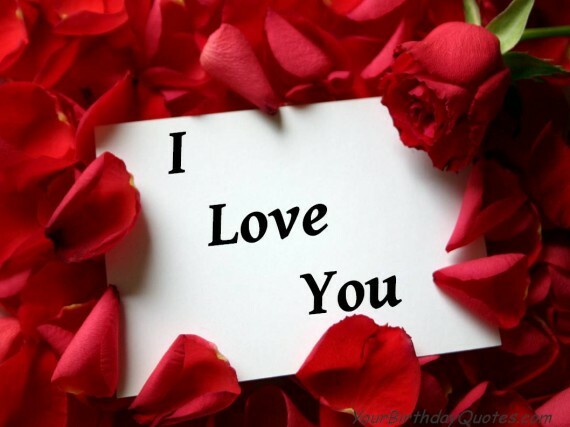 What is better and more romantic then sweet I love You quotes? Some of the greatest stories and legends in the world were moulded from love. It is no wonder therefore that love is known as the greatest force on earth. When you think about it, this assertion is true to the bone. If you think otherwise, then you seriously need to re-consider. Take for example Paris and Helen from Greek mythology. Helen was the most beautiful woman in the world and Paris was a Trojan prince. Helen, though already married to the king of Sparta, had been promised to Paris by Aphrodite the goddess of Love. Because of love, Paris went to Sparta and took Helen back to Troy. This action of love, triggered the ultimate downfall of Troy. Quite a story, right? Well, wait till you hear about Bonnie and Clyde. These two were so love-stricken that they followed each other into a life of crime. Love glued them together all through their criminal lives until they were finally shot dead, together! There are lots of other famous love stories from all around the world; Romeo and Juliet, Napoleon and Josephine, Cleopatra and Mark Antony, Pocahontas and John Smith and even some of the greatest scientists ever, Marie and Pierre Curie. Truth be told, everyone, no matter what they think, needs love. In fact, it would be factual to state that everyone hopes to find true love someday. However, for those who have already found love, the most important thing is to express their love to those they love. 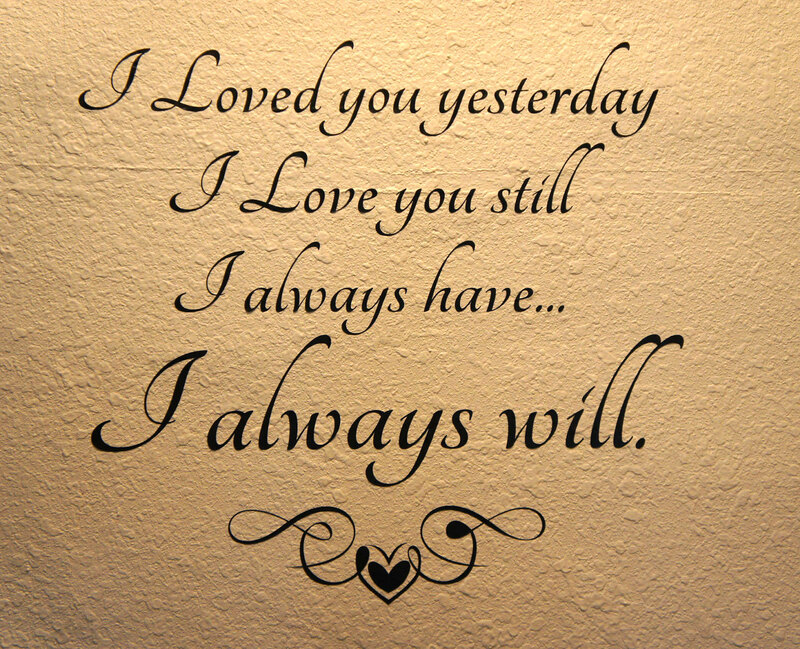 That is why these I Love You Quotes are meant to help you express your love more confidently. The good thing is that there are countless ways of expressing love. Some of these ways may be a little bit to the extreme like Heloise who became a nun because the one she loved, Abelard, had become a monk. Other times it may be as simple a gesture as looking into your partners eyes and just telling them that you love them plain and simple. It really doesn’t matter how you do it; what matters is that you actually do it. When should you express your love? Quite a good question this is. It has a pretty simple answer too; anytime! Remember that the future is unpredictable and not expressing your love now is something you may regret two or three hours later. Also remember that there is absolutely no rule on where you should express your love. You could do it while having dinner, you could do it while driving to work and you could even do it while taking a romantic shower together (wink). In fact, doing it when most unexpected is something that is bound to get your lover extremely excited. You have probably heard that actions speak louder than words, but I can tell you one thing for free, actions coupled with the right words are the loudest! Actions are bound to impress your lover. But words are bound to leave them breathless and sometimes, even drive them to tears of joy! Simply put, words right through to their hearts; through their souls. Finding the right words to express your feelings about a person can be quite a task and especially if you just are not good with words. Whether you are good with words or not, these I Love You Quotes ought to be your “best friend”. They are sweet, simple and unique. They have been tested and proven to bring a smile on whoever they are whispered to. Even better still, this collection of I Love You Quotes does not include any corny, cliché or overly used quotes. Use them and be guaranteed that whoever you are telling them to won’t give you that knowing look that says, “I have heard that before!”. Even though were far apart I love you dearly with all my heart. A good speech has a beginning, a middle and an end, the best example being, “I love you”. Never pass up the chance to say “I love you”, because tomorrow isn’t promised. If you once said I will love you more than anyone until the day I die, and that person leaves you; how will you say I love you more than anyone again, or should you say that? How about that, the best I Love You Quotes you will probably ever see anywhere on the internet. These are love quotes that are reflective of your deep feelings; reflective of your care; reflective of just how much you appreciate his/her presence in your life. 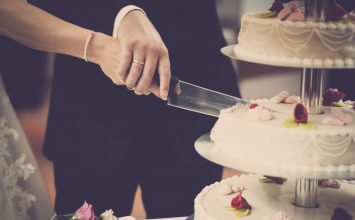 Probably the best thing about them is that they are applicable in practically any situation be it Valentine’s Day, an anniversary, a proposal, a wedding or even an ordinary day/night. 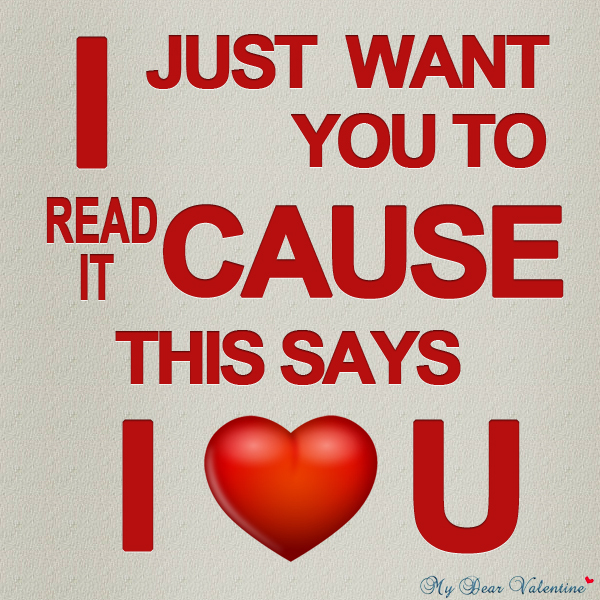 It’s time to take control; it’s time to express your love fully with these Love Quotes. Let us make the world go round with LOVE! Thanks for sharing!!! I loved reading that letter!! Here is what I want to know… What did you say back to him? 🙂 Do you have that letter? Don’t leave us hanging! Haha. I love great love stories! Ben I love you ❤️! You are my true love! What I think and feeling that you know all ! ? I love you ❤️? I hope we can be together soonest! I love ❤️ you ! I met this man in 2015 we’ve been dating off and on. I moved 300 miles away after 3months apart we started to date again but now its just dating only each other, We text every morning, text during the day and text or talk at night, i think i love him but dont know how he feels about me, should i just tell him i love him? Obviously he’s cheating. Trust me. That’s a typical and played out players’ move.